On an annual basis for the past 30 years, J.D. Power publishes the Vehicle Dependability Study (VDS). This landmark study collects data about 3-year-old vehicles from the people who originally bought them. They share what has gone right and what has gone wrong during the 12 months leading up to the survey, and then J.D. Power analyzes the data and presents the findings to the automotive industry and consumers like you. As a part of this process, J.D. Power assigns each vehicle in the study with a Vehicle Dependability score. This score summarizes the VDS findings into a single, easily understood data point, making it easier for consumers to identify those makes and models that are dependable, and offering a simple way to compare vehicles within a given segment. This guide includes 2016 model year luxury SUVs. Each one receives a Vehicle Dependability score of 9 or 10 out of 10, making them the most dependable vehicles in the segment after three years of ownership. Based on the Honda CR-V, but equipped with an exclusive V6 engine and sportier styling and driving dynamics, the Acura RDX is a compact 5-passenger luxury SUV with available all-wheel drive (AWD). For 2016, Acura freshened the RDX with more expressive styling, improved safety and infotainment technology, and additional standard equipment. Option packages called AcuraWatch Plus, Technology, and Advance increased the RDX’s feature content, with Advance representing the top-of-the-line version. The 2016 Acura RDX receives a Vehicle Dependability score of 9 out of 10. Not the smallest SUV from BMW, the X3 was a popular choice among premium crossovers, providing athletic driving dynamics, a usefully roomy interior, available go-in-the-snow traction, and up to 63.3 cu.-ft. of cargo space. BMW gave the X3 a freshening for the 2015 model year, so few changes were made for 2016. It continued with a choice between a turbocharged gas 4-cylinder, a turbocharged diesel 4-cylinder, and a turbocharged 6-cylinder engine. Only the gas 4-cylinder came with rear-wheel drive. All other versions of the X3 included standard AWD. The 2016 BMW X3 receives a Vehicle Dependability score of 9 out of 10, and receives an award in the Compact Premium SUV category. With lineage dating to the 2008 Infiniti EX35, the 2016 QX50 needed a redesign, not a refresh. But the redesign was still three years away, so Infiniti instead resolved one of the greatest criticisms of the QX50 for the 2016 model year. It stretched the wheelbase so that adults could fit into the rear seat. The bigger back seat came with styling and equipment modifications, but the QX50 still had a too-small trunk and lacked many of the safety and infotainment technologies available on its direct competitors. It sure was fun to drive, though, and dependability is a strong suit. The 2016 Infiniti QX50 receives a Vehicle Dependability score of 9 out of 10. 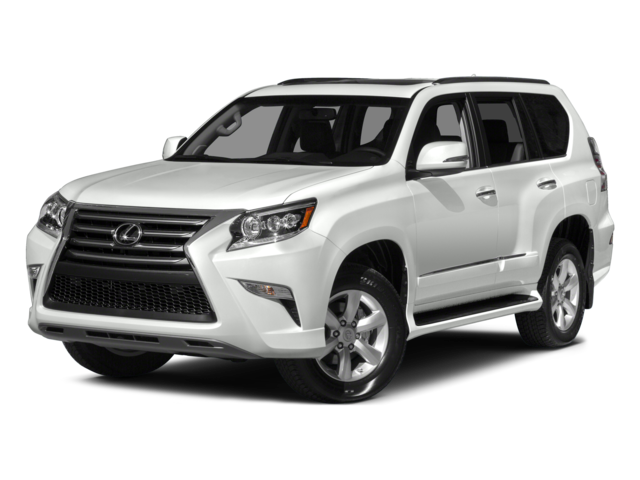 Lexus bases the GX midsize SUV on the same platform as the Toyota 4Runner, but equips it with a more powerful and refined V8 engine, while adding lots of luxury and refinement to the cabin. This basis on the 4Runner means it is a real off-roader, rugged and ready for just about anything, even if most Lexus owners have no intention of using its capabilities. When you buy a 2016 Lexus GX, you choose between standard, Premium, and Luxury trim. Lexus did not make any changes to the GX for 2016. The 2016 Lexus GX receives a Vehicle Dependability score of 10 out of 10, and receives an award in the Midsize Premium SUV category. With small SUV sales increasing, including in the luxury market, Lexus debuted the new NX for the 2015 model year. Based on the same platform as the Toyota RAV4, but equipped with dramatically different styling inside and out, the Lexus NX came with a standard turbocharged 4-cylinder engine and an available hybrid drivetrain. Because this compact 5-passenger crossover SUV was new for the 2015 model year, Lexus made no substantial changes to the vehicle for 2016. The 2016 Lexus NX receives a Vehicle Dependability score of 9 out of 10. One of the most popular models in the Lexus lineup, the RX received a complete redesign for the 2016 model year. The result was daring, with polarizing styling, a cockpit-themed cabin, and compromised cargo space. For 2016, the 5-passenger crossover SUV came in RX 350 (V6 engine) and RX 450h (hybrid drivetrain), the latter delivering greater performance and efficiency…for a price. Lexus also offered the redesigned RX in a racy F Sport trim level, which supplied a more aggressive appearance combined with improved handling. The 2016 Lexus RX receives a Vehicle Dependability score of 9 out of 10. For the 2016 model year, Mercedes-Benz restructured its vehicle names. As a part of this change, the M-Class became the GLE-Class. To signal the name change, the GLE received styling revisions, a new infotainment system, and more standard equipment. A plug-in hybrid version also debuted, along with a fastback-style GLE Coupe that cost more in exchange for less interior space. Multiple variations of the GLE exist, from a thrifty diesel to performance-tuned AMG iterations. The 2016 Mercedes-Benz GLE-Class receives a Vehicle Dependability score of 9 out of 10. A 5-passenger, midsize SUV equally adept on a racing track as it was off-road, the 2016 Porsche Cayenne applied sports car styling and performance to a 5-passenger SUV seemingly ready for anything. Numerous powertrains were available, ranging from a diesel and a plug-in hybrid to a turbocharged V8. Every Cayenne included AWD, and for 2016 Porsche re-introduced the GTS and Turbo S trim levels. The 2016 Porsche Cayenne receives a Vehicle Dependability score of 9 out of 10. Smaller than a Cayenne, the Porsche Macan is a compact SUV with seating for five people. Even sportier than its larger sibling, the Macan nearly erases the “SUV penalty” on driving dynamics, making it a thrill on and off the road. Standard S and available Turbo trim comprised the 2016 lineup. Having debuted for 2015, the Macan received few changes for 2016. Highlights include a standard heated steering wheel and triple-zone climate control, and a 360-degree surround view camera was a new option. The 2016 Porsche Macan receives a Vehicle Dependability score of 9 out of 10.